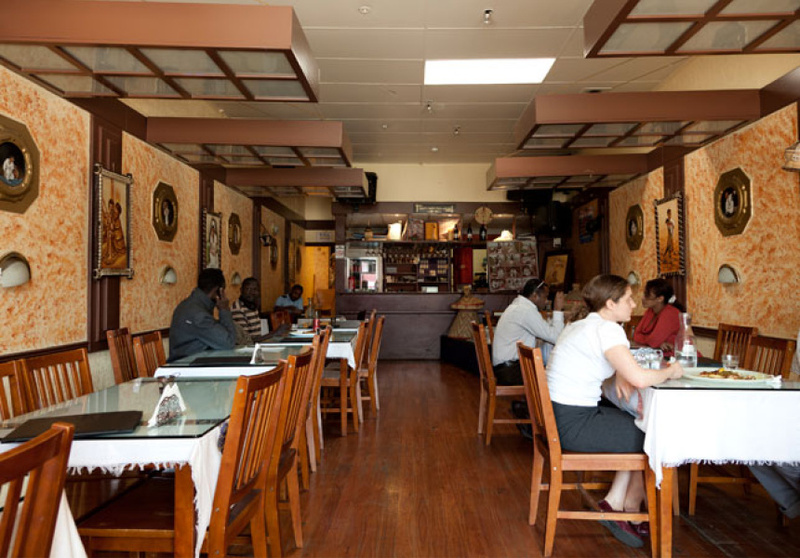 Cafe Lalibela is a small-scale Ethiopian restaurant with tradition securely at its heart. 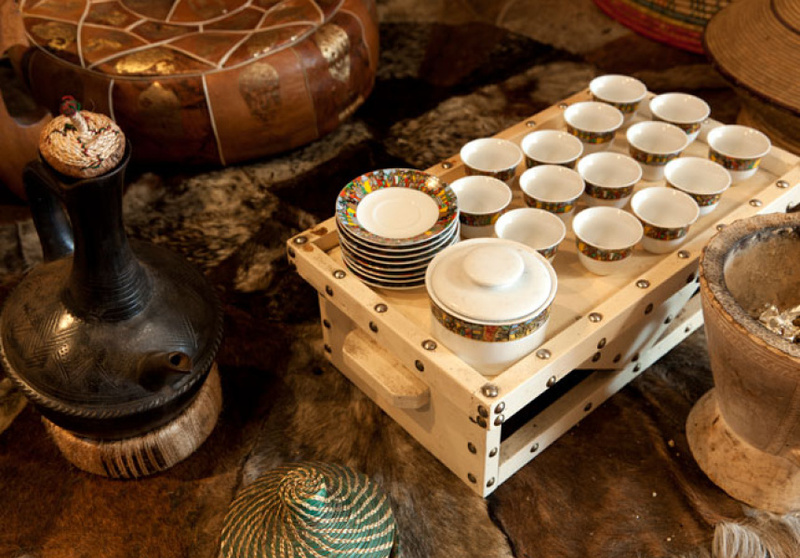 For authenticity's sake, it asks you to excuse the lack of cutlery and embrace using your hands, as they do in Ethiopia. Great importance is placed on sharing dishes, which despite feeling unfamiliar, soon become convivial and fitting to the home-style cooking. A selection of slow-cooked meat stews (wats) and lentil-laden vegetarian dishes come presented as little mounds, dotted on a giant pale pancake. This is the typical injera, a spongy, sour bread made from rice flour and adapted to soak up the deeply flavoursome juices oozing from your choice of stew or curry. First-timers may feel a little bemused by the presentation, yet an efficient "tear and scoop" motion is quickly adopted and becomes the perfect replacement for your absent spoon or fork. 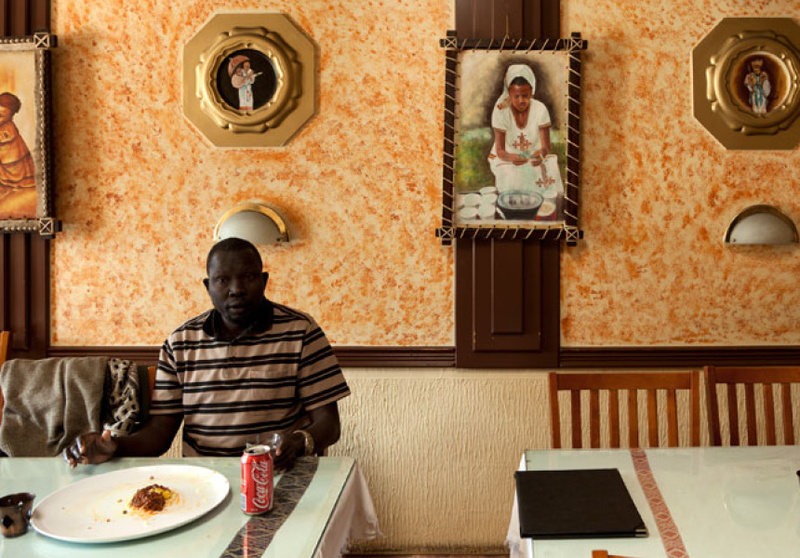 Admittedly, Cafe Lalibela is not going to excite you with stylised decor or a white tablecloth, but the walls are pretty expressive. As is the case with cheaper eateries, the focus remains heavily on the food. As such, expect a large tasting plate of fiery spiced dishes served to you with an encouraging smile from this family-run establishment.